Toklat Pink Sconce All Purpose Pony Saddle Pad - Clearance! Have some fun with your saddle pad! Toklat's Fun Print Pads add color and interest to any barn. 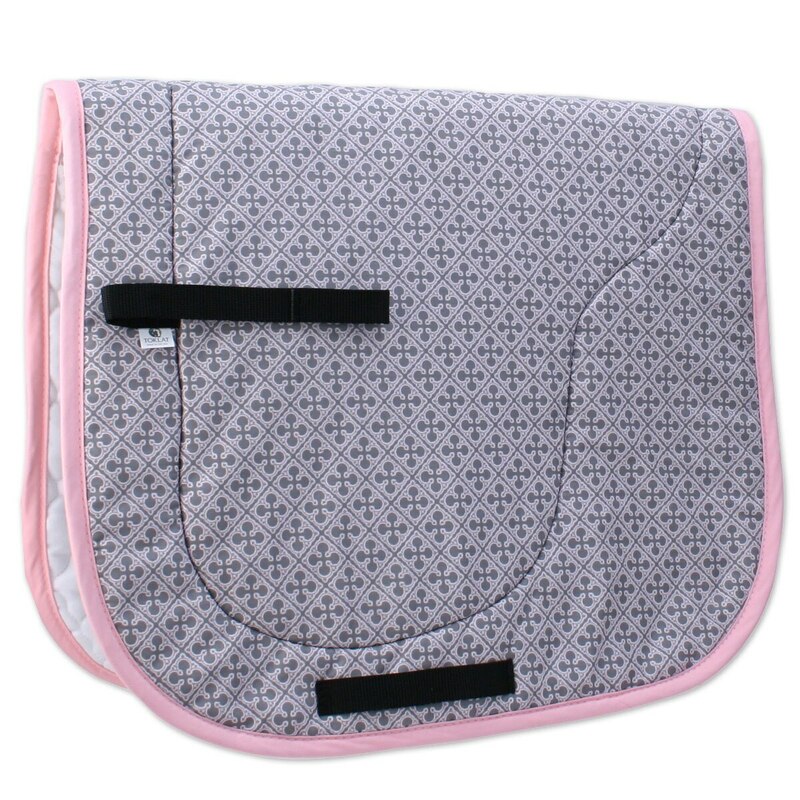 This saddle pad has a 100% brushed cotton bottom and features nylon billet and girth straps.